To develop and design a brand identity for Hillary Licensing, an adventure and outdoor brand focused on Sir Edmund Hillary, the first man to climb Everest. As leaders in leisure marketing strategy and execution, S2 was chosen by the Hillary family to manage this highly prestigious brand roll out. 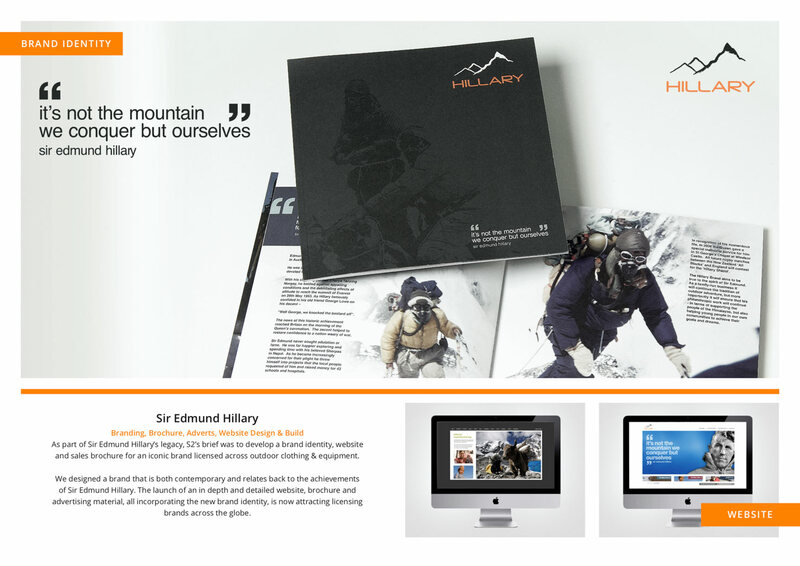 S2 worked closely with the Hillary family as well as investors to create, design and produce a clean, bright and engaging brand identity for the new Sir Edmund Hillary Licensing project which will be used across premium outdoor sportswear and equipment. The Hillary brand name will be available to major outdoor sports and adventure brands who recognise the market opportunity for high end premium priced quality in clothing, sports equipment and outdoor equipment. 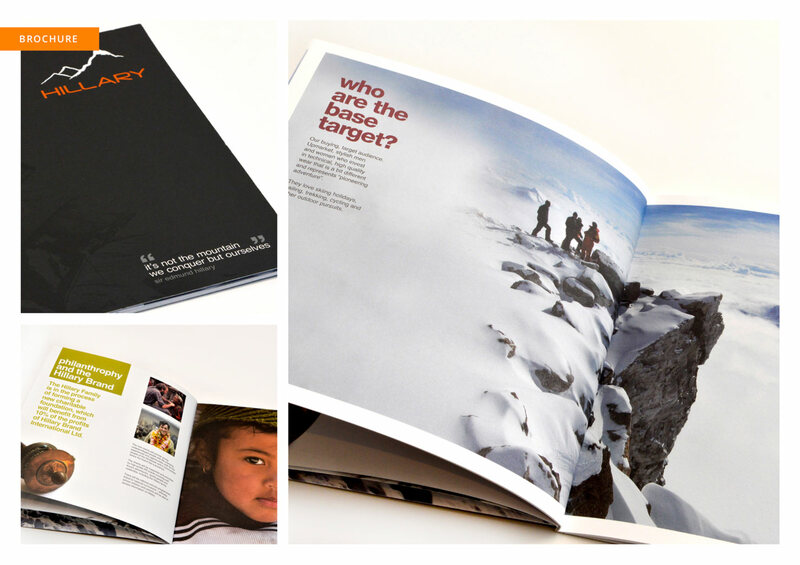 S2 designed a brand identity that is both contemporary and relates back to the achievements of Sir Edmund Hillary, as well as producing a detailed new website including a flip book, brochure, advertising material and corporate communication material. The brand is currently being rolled out to selected international manufacturers and retailers who recognise the unique place that Sir Edmund Hillary occupies in the public imagination.